Sri City, July 6, 2016:- Two of the Sri City based Japanese industries, viz., Kobelco Plate Processing India Private Limited and Piolax India Private Limited held plant expansion ceremonies at the respective plants on Wednesday. 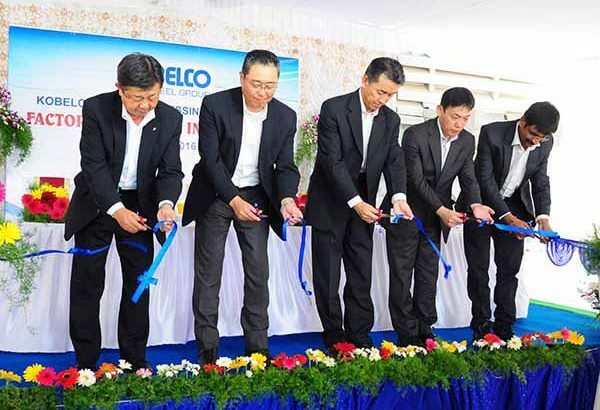 While Mr. Satoru Hoshino, Director, Kobelco Plate Processing declared the new facility inaugurated, Mr. Yukihiko Shimazu, President, Piolax Group, Japan inaugurated the newly built production facility. A host of dignitaries from customer companies and other units of Sri City were present at the functions. “Expansion of the existing industries testifies the investor-friendly ecosystem that has already been built at Sri City. As this region, in line with AP CM’s directive, will soon grow as an automobile cluster, a symbiotic ecosystem will get developed benefiting the auto component makers, ” he added. Kobelco Plate Processing India, as a core member of the $2.49-billion Kobe Steel Group, Japan, with more than 40,000 employees worldwide, is a service provider of fabrication of Mild Steel plates. in Sri City Its plant was set up in 2013. Piolax India, a subsidiary of the $29.5 million Piolax Japan, is a leading manufacturer of about 15000 different auto components, such as coil springs, flat springs, wire forms, metal/plastic fasteners, etc., The Sri City unit was set up in Aug 2012. It supplies its products to Nissan, joint ventures of Ashok Leyland-Nissan and Renault-Nissan, and Honda among others.